Stocks are actually the entire assets of a business enterprise, represented in smaller units. Therefore, if a person starts a business with nothing other than a house worth $50000, then it could be said that the business has 50,000 shares of $1 each, or 5000 shares of $10 each, and so on. However, the unit such as $1, or $10 has to be defined. The entire $50000 would be stock, and the individual will be buying a share out of that stock. This is the reason the words share and the stock is interchangeable words in stock markets. 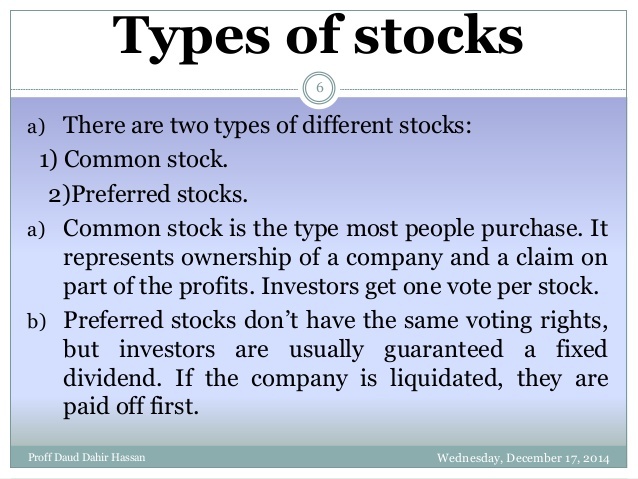 Since stock buying is mostly related to stocks that are listed on stock markets, it is necessary to understand what can affect the stock price. Considering the same example, if our friend could generate a net monthly rental of 1000 from his enterprise, the stock would be $51,000 instead of $50,000 at the end of the 1st month. Effectively, the revised value of the share of stock when the initial stock was of $1 each, would be 51000 (stock)/50000 (number of shares) or $1.02. It may be projected that the business would continue to do that well, and therefore, at the end of the year, it would fetch about $0.24 on the initial investment. 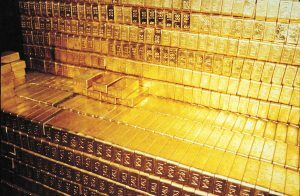 This is the earnings per share. Many investors would be interested in purchasing a stock that would fetch them that kind of return on investment, which is actually represented as a ratio. Here return on investment would be 24% per annum. Therefore, they would be willing to pay slightly higher amount than $1 to buy the stock of the business. Effectively, they would be satisfied to get lower returns than 24 percent per annum on their investment. This higher amount that these investors are willing to pay is determined by demand and supply in relation to this stock on stock markets traded on that particular day and time. The price that this demand and supply determines may make sense to an extent, but may not beyond a certain level. One of the factors other than return on investment that help in deciding whether or not a stock is worth purchasing is the market price divided by the earnings per share. Generally, businesses plow back the profits and may pay only part of the profits as a dividend. Presuming this businessman retains the profit for four years. Each of those four years, he has increased rentals at the rate of 10 percent. Therefore, he has 12000 of the first year, 13200 of the second year, 14520 of the third year, and 15972 of the fourth year on his hand. The total is 55,692. Round it to 57500 considering the interest received by the person on the amounts placed in the banks. Now, what would be the stock worth Of course simple way to the state would be an initial investment of 50,000 dollars + the savings of 57500 = 107500. But the value of the house held for four years has gone up as well to 75000 dollars. Therefore, the actual value of stocks of this business would be 75000+57500 = 125000. Effectively, the price of the share should be around 125000/50000 = 2.5 dollars. In other words, in 4 years, the value of the share has more than doubled! And this is based on historic costs, i.e., future prospects have not been considered. The 2.5 dollars per share is known as the book value of the share. In the same example, suppose the businessman decides to approach the bank and take a loan to buy a second house. This second house is being bought at 100000 and is expected to fetch net monthly rent of $2000. Naturally, the price would remain the same as per book value. However, the prospects have undergone dramatic changes. This means, the future earnings for foreseeable future have to be discounted and brought down to the present value and from that, the loan liability has to be deducted, to arrive at the actual value of the stock. This is where software tools come into the picture. There are ample software packages that do the required discounting and give that amount for determining the book value of the share. But the crucial thing is the value that market determines. The software tools available in the market clearly give a graphic presentation of the stock in relation to stocks from the same industry, as well as other stocks. Many software packages on stock buying now clearly indicate the right time to buy a stock, or sell, or hold a stock. This information is generated based on financial ratios and some time tested stock market trading strategies. Examples of such software packages are Amazing Stock Trend Signal Software, Amateur Invest, Position Cost Averaging Stock Investing System, and Stock Market Investment Software etc.One thing is for sure, if the stock is available at a value as close to book value, it is worth taking it. When does that happen, if at all It does, at times. For example, a business loses its consignment on high seas. The resultant loss may be taken into accounts. Markets tend to over react to any positive or negative news. This is when the swing from positive will reach very close to the book value. Smart investors wait for such news and pick the stock at that point of time. Another ratio that is considered is the liquidity ratio that is current assets / current liabilities. If the business is liquid, then it does not need to borrow from banks or other lenders at higher interest rates, and therefore, the profits are not likely to be affected much. A more refined version of it is current assets stock divided by current liabilities. This is called quick ratio. There are several such financial ratios, which are already considered within the available software programs. These include ratio of net profit to sales, gross profit to sales, manufacturing expenses to sales, net profit to gross profit, current assets to fixed assets, current liabilities to long term liabilities, current assets to current liabilities, dividend to book value of the share, fixed assets to long term liabilities or share capital, and so on. Each ratio is considered in software packages based on its effect on financial performance of the business enterprise, and the rating is given accordingly. Because a comparison with other companies, whether or not in the same industry, is also drawn up by some of these software packages, new investor is better equipped with a tool that does most of the analysis and provides a clear cut answer whether or not a stock should be purchased. Notwithstanding this, there can be some conditions under which the advice given by such packages can prove to be wrong. Therefore, any such advice should again be studied and advise of an experienced stock broker should be taken till the new investor is able to master the tricks of the trade.